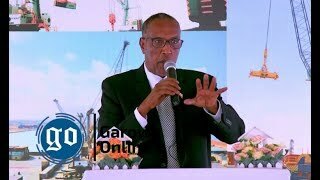 DJIBOUTI - The leaders of Somalia's central the Federal State of Galmudug and its rival Ahlu Sunna group are expected to hold their second round of peace talks in neighbouring Djibouti, Garowe Online reports. 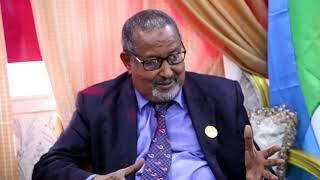 The president of Galmudug, Ahmed Dualle Haaf accompanied by Vice President Mohamed Hashi Abdi Arabey, along with high-ranking state officials have reached Djibouti on Sunday ahead of the talks. The moderate Islamist group Ahlu Sunna Waljama’a (ASWJ) is also sending a delegation led by its leader Sheikh Mohamed Shakir to Djibouti to participate in the planned talks. The first phase of the talks took place in Kenya's capital Nairobi last week. Mediators from the East African regional bloc (IGAD) are brokering a peace deal aimed at uniting the two sides and bring a lasting solution to the long conflict and political crises in central Somalia. 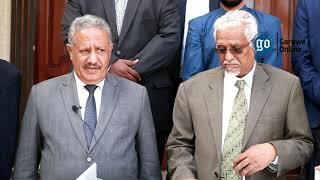 On Saturday, GO reported that the second phase of the talks was going to be held in Djibouti, with reports that officials from the Ministry Interior, Federal Affairs and Reconciliation will be present at the meeting. Reliable sources, speaking to GO revealed that the sides are expected to discuss possible power-sharing and forming inclusive state government and iron out the existing obstacles during the negotiations. 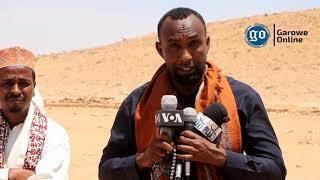 ASWJ is demanding to have seats in Galmudug Parliament which similar in number to the current serving MPs, a condition that was vehemently rejected by the state leaders, according to the sources. 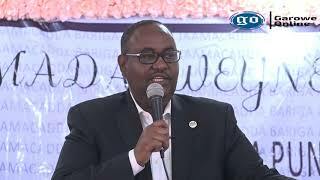 The group's leader Sheikh Mohamed Shakir is believed to be keeping an eye on the top seat of Galmudug and run for Presidency in the next election in the state. The sides failed to negotiate in previous talks mediated by Somalia's Federal Government in Mogadishu following stiff conditions tabled by ASWJ before President was inaugurated in May of this year.